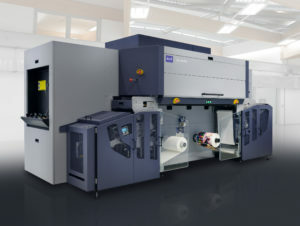 Durst New Leading Edge UV Inkjet Single Pass Printing Technology. 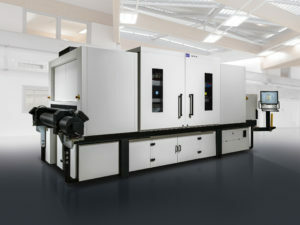 Durst, manufacturer of advanced digital production technologies, will be presenting its latest development, the new digital – high resolution – high speed – 8 color label press Tau 330 RSC inline with OMET’s Xflex X6 hybrid solution as well as its new Web2Print workflow at Labelexpo 2017 in Brussels, from 25–28 September 2017 at the Durst Booth 8B26 in Hall 8. The new Tau 330 RSC is a UV inkjet label and package printing press featuring 330 mm (13 in.) 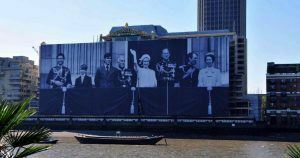 print width combined with leading edge print speed of up to 78 linear meters/min (255 ft./min) at 1200 x 1200 dpi printing resolutions. The press achieves a production capacity of 1.485 m² per hour (15,985 sq ft/hr), and thanks to its 8 color stations (CMYK+W+OVG) with new designed high pigmented inks it delivers outstanding, flexo look-like print quality with close to 98% pantone color gamut coverage. 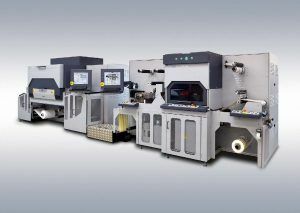 Durst is a world-leading manufacturer of advanced digital production technologies. In the active business areas, Durst is the first choice and a preferred partner for the transformation and digitization of industrial production processes. Durst is a family company with an 80-year history, where values are focused on innovation, customer orientation, sustainability, and quality. Further information about the Durst Group can be found on the website www.durst-group.com.